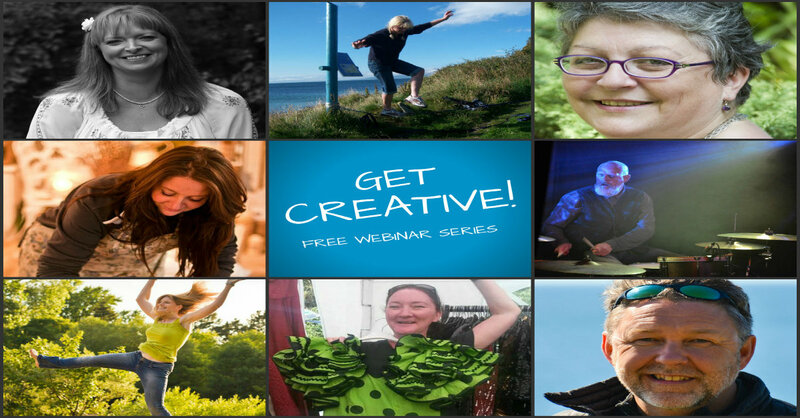 “Get Creative!” is a series of inspiring conversations with people who have found their creative groove. Over the course of 7 live interviews, you’ll get to meet a drummer, an author, an artist, a florist, a dancer, a poet and a storyteller. Exploding some of the big myths about creativity. Exploring what creativity means . Discussing some of the incredible personal rewards associated with the creative process. Hearing about different ways of being creative. Hearing the personal stories of my guests. Offering some practical tips for getting creative (and for handling “gremlins”). If you can make it to the live interviews, there’ll be a chance for you to ask questions. If you can’t make the live interviews, a limited-time replay will be available to all those who register for the event. The replay link will be valid for 72 hours. For full details of all 7 interviews and booking links, please scroll down! Get full details and register here or click on the image above!